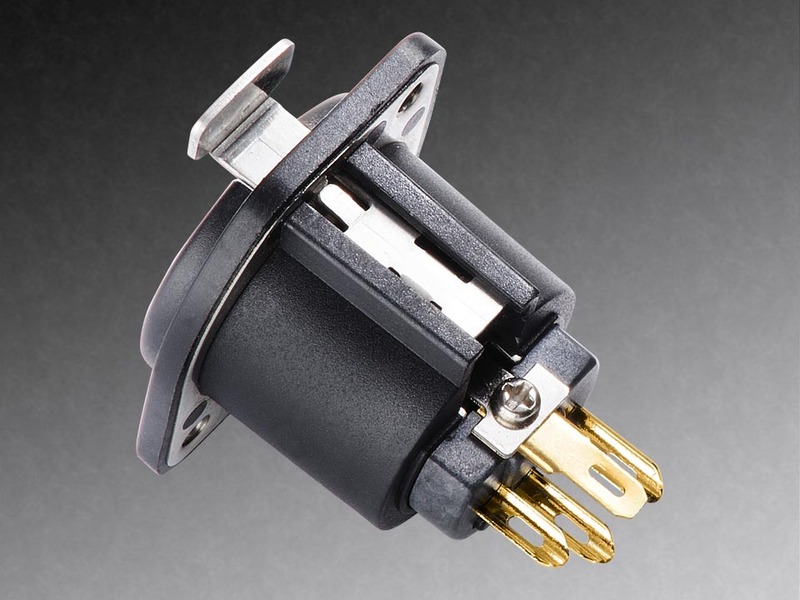 Furutech’s beautifully finished and just as importantly beautiful sounding XLR sockets are the result of meticulous engineering and careful audition of various materials. 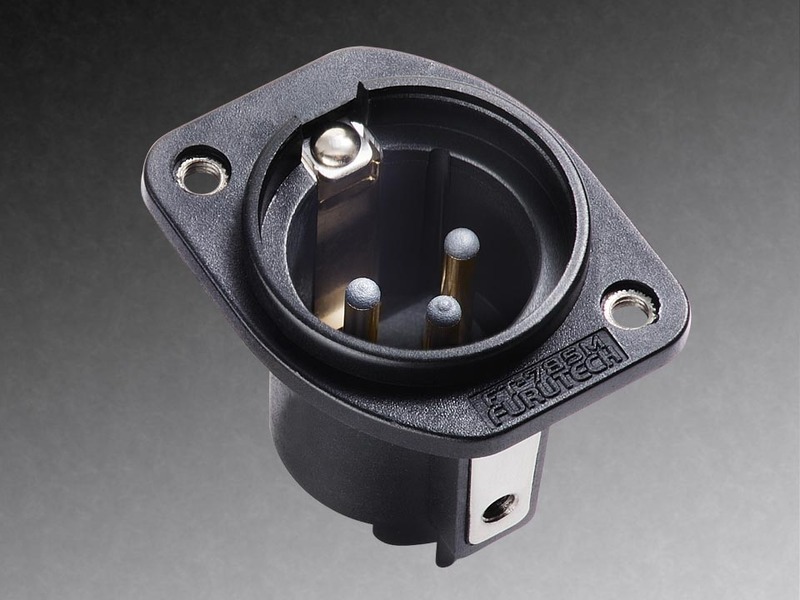 The FT-785M features α (Alpha) pure copper conductors for minimal impedance set in a super heat resistant liquid crystal polymer resin and a non resonant nylon/fiberglass housing that incorporates Furutech’s super-effective Piezo Ceramic Damping Material. 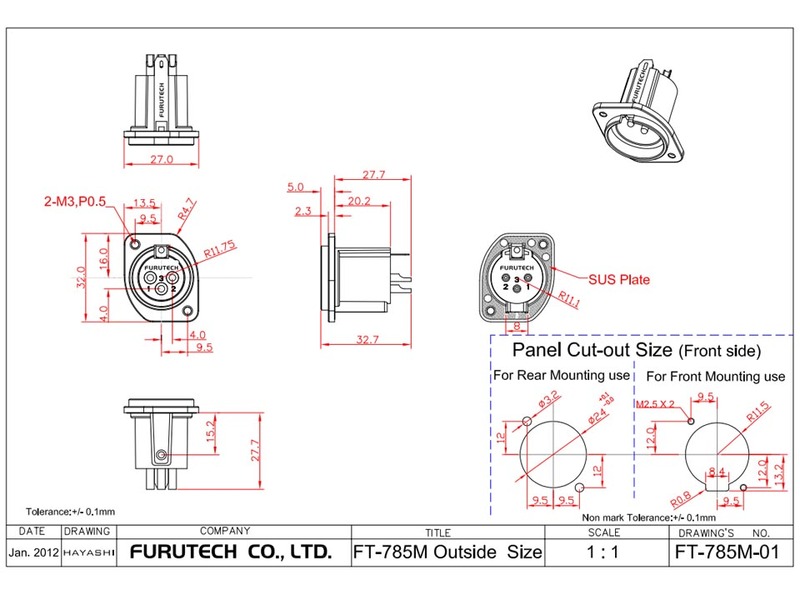 Unique to these special Furutech FT-786F and FT-785M XLR sockets are special nonmagnetic stainless steel plates that are incorporated into the piezo compound construction using a special Furutech patent-pending process. Pure Transmission principles at their finest!